Keep leaks contained while transporting drums or containers full of liquids from one location to another. 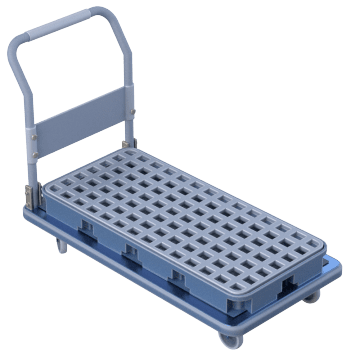 These carts and dollies collect spilled liquids to keep floors dry, prevent contamination of the work area, and allow spilled materials to be reclaimed or properly discarded. 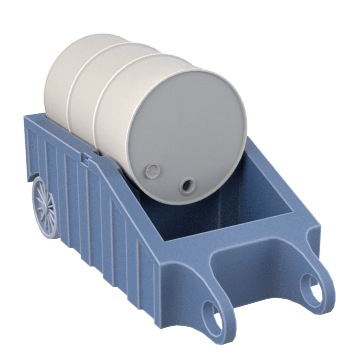 Set 55-gallon drums on the wheeled platform of these carts to contain leaks as you push the drums to a new location. The platform has grating that allows leaked material to fall into the platform for collection. 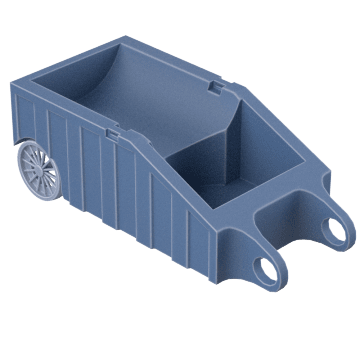 Sometimes called caddies, these dollies have an internal sump to keep spills contained while transporting 55-gallon drums on the dolly. The dolly can be manually wheeled between locations or moved using a pallet jack or forklift. A strap keeps the drum securely attached to the dolly, and the dolly can be placed in the horizontal position when dispensing from the drum.